Whether you run, jog, walk, or practice yoga, find the best sports bra for your body and your activity. The best sports bra will allow you to move, stretch, run, and jump—all while giving you more support than your best girlfriend. But finding the best sports bra? That can be a mental workout! We surveyed over 1,000 women and learned that the hardest activewear to find is sports bras, so we are here to help you find the right one for your body and your workout. Below are some questions you should consider when looking for the right sports bra, but be sure to ask your Dia Stylist for their recommendations. We have a large assortment of sports bra styles and one has your name on it. Not sure your bra size? Learn how to measure yourself before you get started. What impact level are your workouts? When it comes to sports bras, it’s important to consider your workout’s impact level, which really means: how much bounce does it involve? The more bounce, the higher impact the workout, and the more support you’ll crave from your bra. Low-impact workouts involve little to no bounce—think strength training or yoga. If you often practice yoga, pilates, or do a lot of weight training, you’re likely looking for a super comfortable, stretchy, no-fuss sports bra with some light compression that makes you feel supported and covered. Medium-impact workouts involve a moderate amount of bouncing. If you regularly use the elliptical or are an avid power walker, you likely need some true support from a sports bra that has a lot of compression and is made of sturdier fabric. 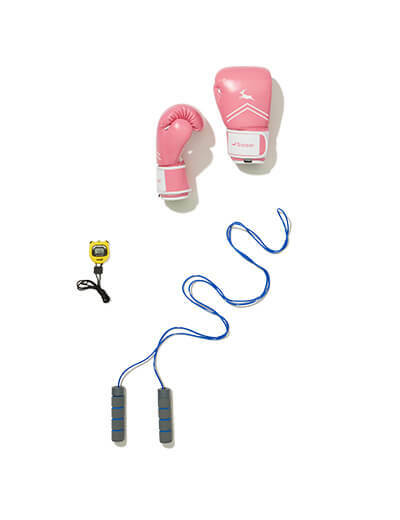 High-impact workouts have a high degree of bounce—think running, dance, and most aerobics. If you’re running or jogging regularly, the right kind of bra is one with a lot of coverage and made of sturdy fabric to reduce bounce so you feel comfortable, supported, and compressed without worry. What features should your sports bra have? When it comes to sports bras, many of us think of simple spandex compression. But today, sports bras come in various forms and are full of technological features to best support your workout. Here are a few unique features you might find when shopping for sports bras and how they can improve your fitness experience. If you’ve never tried a sports bra with underwire (or if it’s been awhile), it’s worth giving it another go. Gone are the days of painful pokes! The underwire featured in today’s sports bras is perfectly padded to ensure comfort. It also encapsulates your breasts so they stay securely in place, making it perfect for medium- or high-impact activities. Not to mention, if you’re wearing your sports bra to post-workout brunch, underwire will help shape and separate your breasts, preventing the dreaded uniboob that so often comes with sports bras. Bras without a clasp in the front or back are known as pullover bras, and they generally come in broad sizing, from 0X through 5X. However, bras with a clasp tend to come in specific sizes that include cup and band sizes, like 38DD. 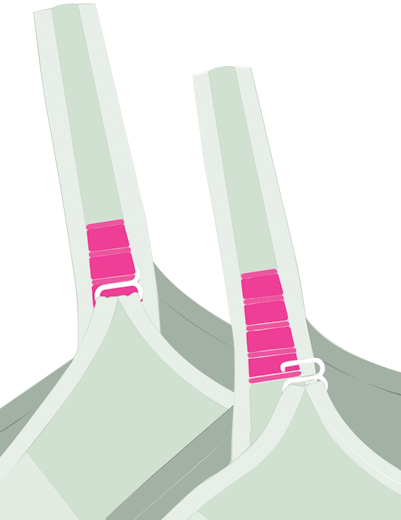 If your pullover bra is loose in the band but tight in the bust, try a bra with a clasp. Both high- and medium-impact sports bras generally feature a clasp, and many of them have numerous hook-and-eyes, creating support and a smooth look in the back. Molded cup sports bras don’t lay flat when you take them off—rather, the cups always keep their shape (you can spot molded cups because they stand up on their own). These bras generally feature underwire and a hook-and-eye clasp in the back, much like your everyday T-shirt bra does. Molded cups shape the bust, ensuring you have the perfect look. Sports bras with molded cups help balance out two different sized breasts and help separate them. Sports bras with molded cups are also the ideal athleisure bra, giving you the perfect look for transitioning your activewear to everyday style. Like with your everyday bra, adjustable straps make for a more precise fit. This ensures that your straps don’t dig in or slide off the shoulder. When it comes to sports bras, adjustable straps allow the bra to lift the bust and help minimize bounce. In general, you won’t find adjustable straps on low-impact pullover sports bras. 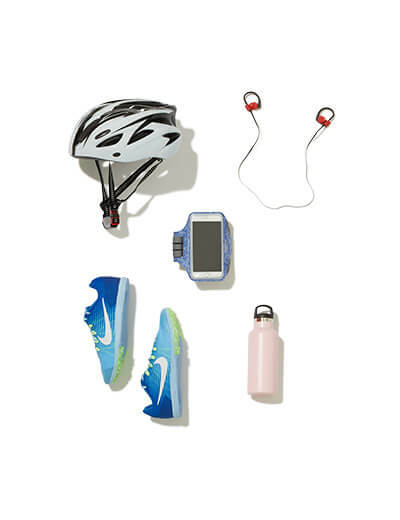 If you want to try out a sports bra with any of these features, ask your Dia Stylist when you request your next Dia Active Box. Be sure to snap some photos of that perfect fit, show off the activities that you’re participating in, and post on Instagram with hashtag #fittothrive.